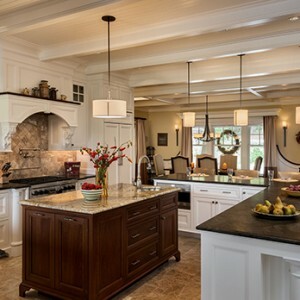 As we continue our discussion of trends in kitchen design, materials and appliances, it is interesting to note that kitchens are combining a mix of cutting-edge technology and materials while also incorporating “retro” designs and a wide array of colors. Long gone are the days of avocado and gold appliances and in addition to stainless steel, kitchens are sporting appliances in a wide array of styles and colors. KitchenAid just introduced the industry’s first-ever black stainless steel finish which they term a “new neutral look”. While most homeowners would happily add more storage space to their home design, finding innovative ways to increase this space is a major problem for historic homeowners. Older homes don’t have the same storage needs we do in modern times since people didn’t own as many things that needed to be tucked away out of sight. Since many older homes have clearly defined rooms rather than open concept designs, insufficient storage can make your rooms seem untidy or overly busy. TMS Architects has found some unexpected and clever home solutions that can improve storage space. Hardscaping is an excellent addition to any home or commercial property in need of an uplift or boost in value. There are many considerations when developing a plan for your project, and working with an architect is a great way to ensure your money is well spent and that your project will not cause damage to your home’s existing facade. A TMS Beachfront Remodel Finishing in Time for Summer! Cristina Marias, TMS Architect’s interior designer, took these progress photographs recently of a TMS home in the final stages of construction before the homeowners move in for the summer. Built by CM Ragusa Builders, it is a lovely renovation with gorgeous ocean views from the upper floor and on a beautiful summer day, it was a perfect spot to visit. 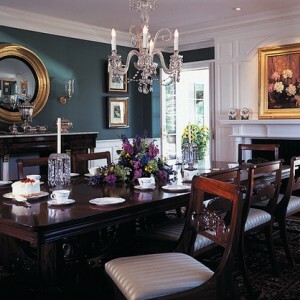 We will be professionally photographing this residence very shortly but wanted to share some “teaser” pictures with you. Are you looking to add a splash of fun to your bathroom design? Tile accents are one of this year’s top trends among homeowners and designers for adding subtle, yet visually stimulating interest to bathroom designs. These stylish additions can evolve with the overall style of your home. The colors you use throughout your home do more than affect the look and feel of each individual living space. Colors should be thoughtfully chosen and carefully placed because they also interact and work together to create an overall color scheme for your home. Once you have the right combination of colors to achieve a beautiful whole-home palette, the next step is to mindfully combine and order them in a way that will create a nice flow from one space to the next. As a homeowner, your walls are an invaluable tool of expression. While excessive detail on walls can easily become overwhelming, accent walls help forge some truly electrifying design elements. 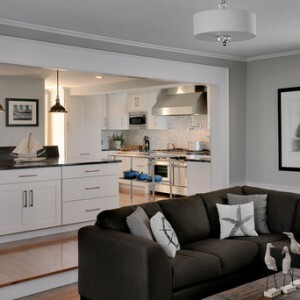 If incorporated correctly, an accent wall allows you to expertly spotlight a certain living area, timeless piece of artwork, or unique architectural feature. Our homes are often a reflection of our personalities and as such, colors are often incorporated to reflect our unique character. 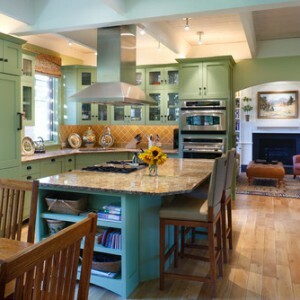 However, kitchens are often left out when it comes to color – especially kitchen cabinets. It’s true that white, off-whites and stained woods are some of the most popular choices for kitchen cabinets because of their timeless appeal, but for some homeowners, kitchen cabinetry is another canvas waiting to be filled with expressive color to help set the mood of their home. Similarly to selecting the right colors for a bedroom or your front door, choosing the right trim colors can make all the difference in your home’s appearance. 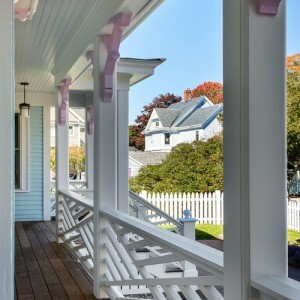 Colorful exterior trim work can help highlight unique architectural features of your home, as well as provide depth, rich visual interest and enhance curb appeal.